Target plans new small-format stores in Bellevue, Ballard and the University District to open in 2019 and 2020. 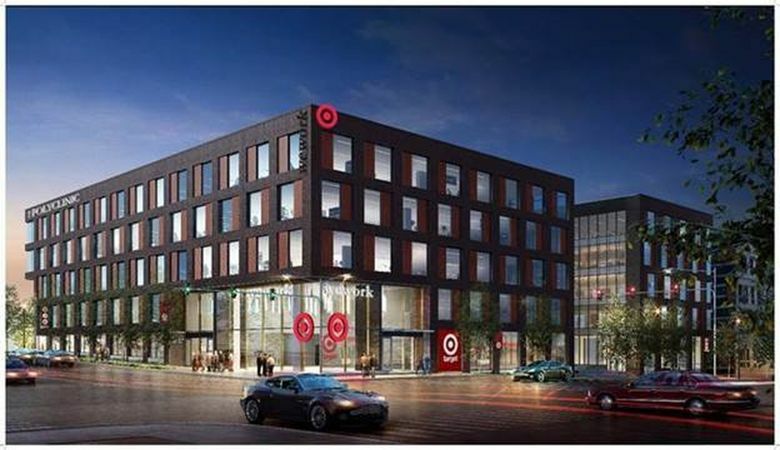 Target, which began experimenting with an urban store format in Seattle in 2012, will build three new small stores, each about the size of a typical grocery, in Ballard, the University District and Bellevue. Retailers are building smaller stores as they adjust to new shopping patterns, demographic shifts and the continued rise of online shopping that has contributed to an ongoing wave of closings and bankruptcies. Target’s new stores, to be built in the next two years, are designed to fit into urban and dense suburban environments with a merchandise selection tailored to the neighborhood. They’ll also serve as pickup locations for the company’s faster-growing online sales. The 21,000-square-foot store planned for the University District, for example, will emphasize items that fit in a dorm room, as well as food and drink, and portable technology products, the company said. That store, in a Panos Properties building on University Way NE, is set to open next year. In Ballard, a 26,900-square-foot Target will occupy the ground floor of Martin Selig Real Estate’s 15th + Market office project. The store is also scheduled for a 2019 opening. The third new Target, considerably larger than the others at 49,000 square feet, will be part of the Bellevue South development, an office, entertainment, medical and shopping complex in the works at 116th Avenue Northeast and Northeast Fourth Street. The company plans to open this store in 2020. In total, Target said, it expects to hire about 225 people to work at the three new locations. The Minneapolis-based retailer opened one of its first smaller, urban stores in downtown Seattle in 2012. The 96,000-square-foot, three-level store was about two-thirds the size of its full-scale emporiums at the time. Target now has 65 small-format stores across the U.S. and plans to open about 30 a year. At the same time, it planned to close a dozen under-performing stores early this year – a relatively modest paring back in the context of a 2017 that saw more than 5,000 retail locations shuttered across several major national brands. Target is among the leading retailers and appears to be weathering the storm through its investments in online commerce – including in-store pickup and same-day delivery via Shipt, which it acquired for $550 million late last year — in addition to the new smaller-format stores and a major remodeling of 1,000 existing stores. Target currently has 37 stores around Washington, including 21 in the Seattle-Tacoma-Bellevue area.